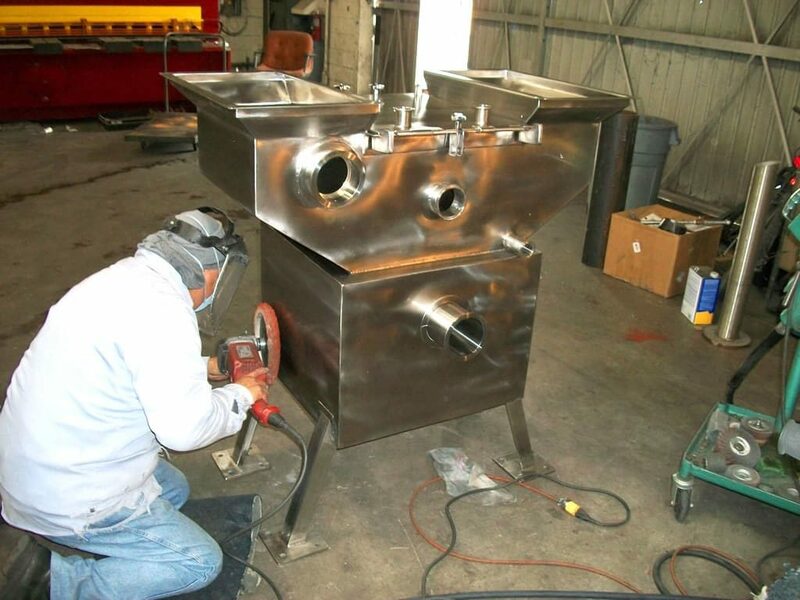 In business over 50 years, this Los Angeles-area shop produces a wide assortment of tanks, mixers, chambers and extractors for myriad industrial, medical and commercial uses. All the welders here are ASME Certified and Royal conforms to all necessary standards for the aerospace, nuclear and other high-precision markets. 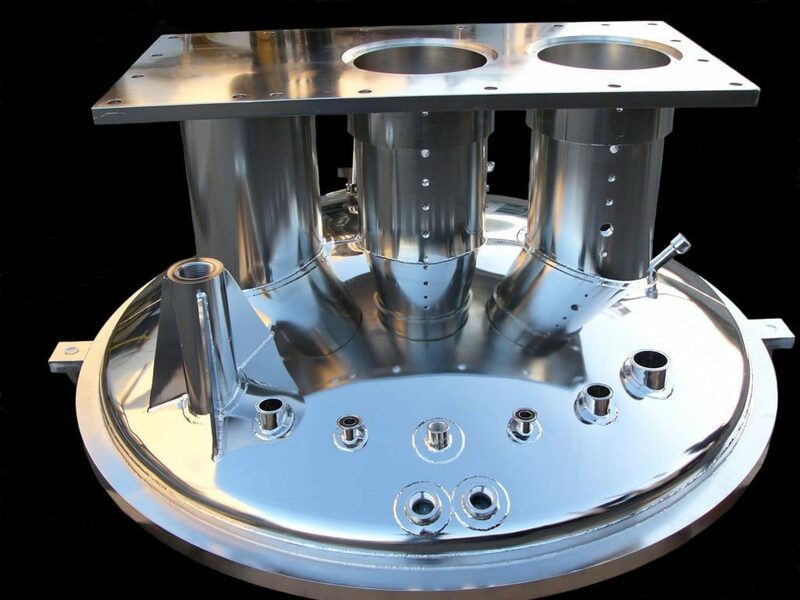 Royal produces units to withstand extreme pressures, high vacuum processing and high and low temperatures for hazardous chemical extraction processing, providing customers with often unique, application-specific designs. 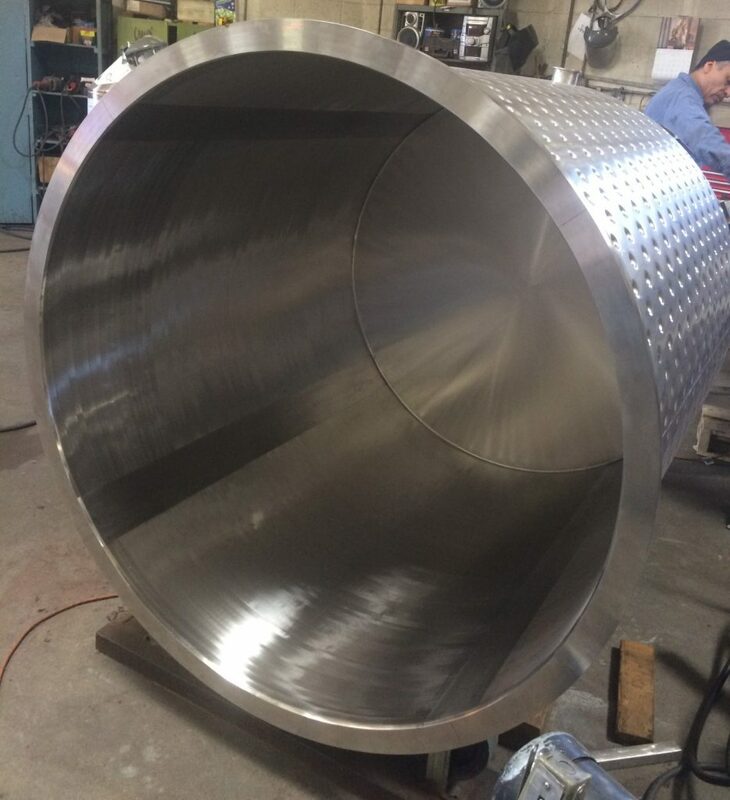 The company’s dimpled plate designs, for example, are renowned for their superior heat dissipation and cost savings, as an alternative to partial or full metal jacket heat exchangers. 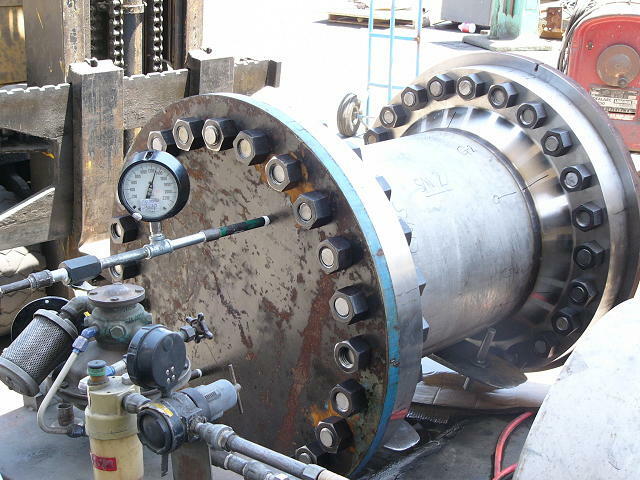 Royal also fabricates a variety of custom tube & shell heat exchangers, centrifugal pump vessels, agitators, autoclaves, hydroclaves, high-volume cooking kettles, high-pressure tanks for reverse osmosis, extreme environment vessels and vacuum chambers to all applicable ASME, TEMA and 3A standards. Units produced here are in use for water conditioning on the space station. The Royal customer list reads like a who’s whom of American industry, ranging from leading pharmaceutical and food companies to the aerospace, oil/gas and chemical industries, plus government concerns. 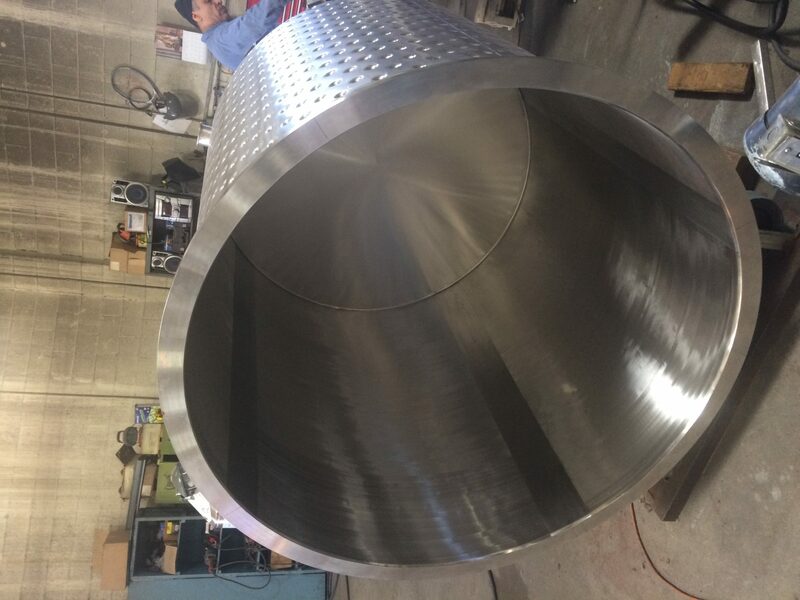 The shop is becoming a leading supplier to emerging markets on the West Coast, including craft beers and even cannabis farming, for which Royal produces high-precision CO2 extractors. The company’s Director of Engineering is Brad Card, who maintains a full library of every unique success achieved by Royal. All work here begins in the design department, where the latest CAD technology produces designs for the various machine shop operations located in-house at Royal. These include metal bending, conventional chip-cutting machine tool work, forming and fabrication, final assembly and performance testing plus a key area of this shop, the grinding and finishing department. 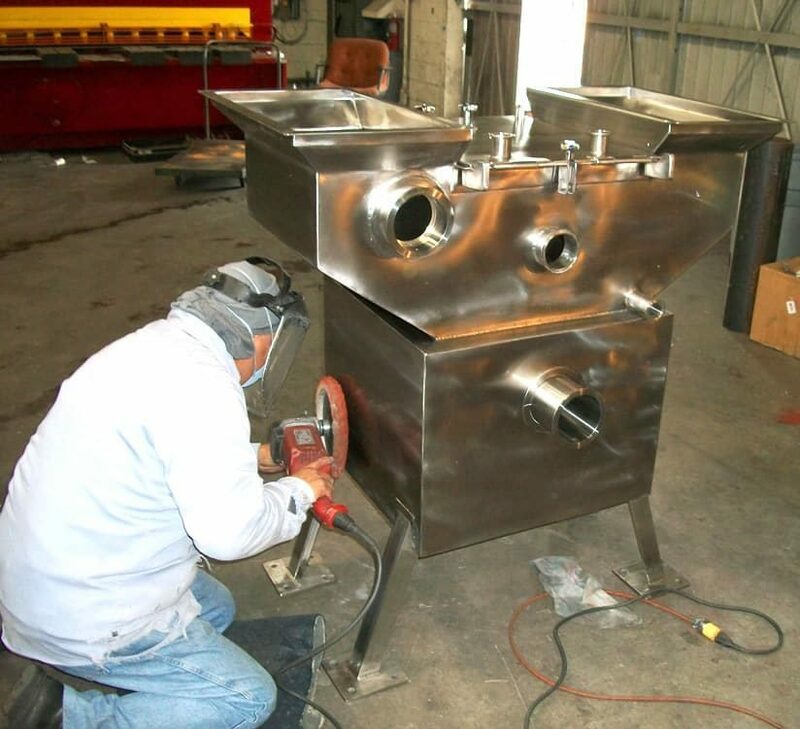 Every weld and surface finishing job at Royal is done to the highest quality specifications and the abrasives used must match the materials, job requirements and appearance standards set by the customer and by Royal. A key partner in this latter department is the Abrasive Power Tool Division of Suhner, based in Rome, Georgia and part of the Swiss company, Suhner AG. This supplier’s local representative is Regional Sales Manager Gary Mergeanian, who has served Royal for over 25 years. As he observes, “Few customers present me with the daily challenges I get from Royal, but these are the moments that make doing business so rewarding. When I can bring a solution to the job at hand, whether it’s a special abrasive pad or a full power tool assembly, that’s exciting. Best of all, the satisfaction of the Royal welding and finishing operator teams is my goal and getting it is very important to me. To make the jobs easier and less fatiguing for these guys, while at the same time helping them produce the highest quality finish possible, is a challenge we at Suhner welcome, every day.” Gary has worked for Suhner for over 30 years and brings a thorough knowledge of the company’s tool and abrasive technologies to the team at Royal Welding. One of the newer Suhner developments on the job every day at Royal is the Roto family of products, where the motor drive, flex shaft and handheld adapter unit are integrated into a powerful and flexible tool package. By separating the weight of the motor and mechanical drive components from the hand tool, plus incorporating highly flexible adapters into the handheld unit, Suhner allows the operators much greater flexibility in performing their work. Belt and pad abrasive work can be done on the same tool, using the Roto family, which further speeds the work at Royal. The shop recently built its own polishing machine setup for internal tank head polishing, using a variety of Suhner components. As further evidence of the performance his shop realizes from Suhner tools and abrasives, Cook notes he’s often recommended this supplier to other companies, even some competitors, he muses.